and increased demand for water. Do you have a responsibility for water in your community or region? Is your sector dependent on water for your work? Are you concerned about the sustainability of watersheds? Check our water guide and a synopsis of related workshops. Learn about water and watershed planning in BC on the website Rethinking our Water Ways. The guide is also available in PDF. Five regional workshops on water and watershed planning were hosted by FBC in Prince George, 100 Mile House, Salmon Arm, Chilliwack and New Westminster between September 2011 and January 2012. You’ll find a wrap-up report and speaker presentations on the Rethinking our Water Ways website. Senior Program Manager Steve Litke has been invited to discuss the guide and collaborative watershed management on other occasions, most recently for the Elk River Alliance, Regional District of Kootenay Boundary and the Coquitlam River Watershed Roundtable. The Rethinking our Water Ways guide and website received funding support from the BC Ministry of Environment and Natural Resources Canada's Regional Adaptation Collaborative program. 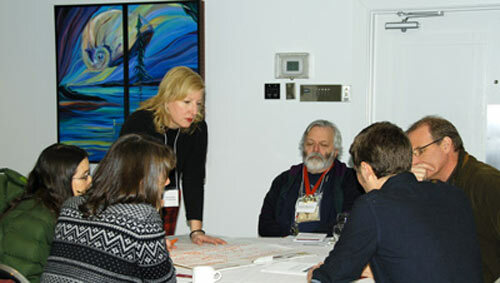 The regional workshops received funding from the Fraser Salmon and Watersheds Program, Environment Canada and the Real Estate Foundation of BC. Contact Steve Litke for more information.